Shannon joined the Marietta Morning Rotary Club in 2013 when she moved to Marietta, Ohio, and has served as sergeant-at-arms and president-elect. Shannon has been a member of Rotary International for more than 15 years, starting as a member of a Rotaract Club in 2004. She served as president of the Colorado State University Rotaract Club, where she earned a BS in Rangeland Ecology. she also holds an MS in sustainable management from University of Wisconsin-Superior. Shannon is employed by KC Harvey Environmental where she manages and provides technical expertise related to environmental compliance with local, state, and federal agencies for the oil and natural gas industry. In her free time, she enjoys camping, hiking, gardening, art, and spending time with friends and family. Maureen (Mo) Kertes has been a member of the Marietta Morning Rotary Club since 2016. Mo was raised in Maine and moved to Marietta to attend Marietta College. She enjoyed the community and decided to stay! Mo is one of the pioneers of our newest “fun”draiser, Tails & Ales. Fresh lobster are flown to Marietta from Maine, cooked up and served with ice cold ales! Rick moved to Marietta in 2016 to teach sport management at Marietta College. He joined Rotary in 2012 in San Antonio, Texas and joined the Marietta Morning Rotary Club in 2016. Rick grew up in Miami, Fla. and graduated with a bachelor's degree in multimedia journalism from Florida Atlantic University. He also holds a master's degree in sport management and a master's degree in jurisprudence. Prior to Marietta College, Rick served as assistant athletics director at University of the Incarnate Word (San Antonio, NCAA Division I), visiting professor of sport management (UIW), and assistant director of alumni relations (UIW). Will Hampton has been a member of the Marietta Morning Rotary Club since 2008. Will enjoys serving others, riding his motorcycle, spending time with family, and spending time with kids. Will is the liaison between the Marietta Morning Rotary Club and the newly chartered Marietta High School Interact Club. Kristopher Justice has been a member of the Marietta Morning Rotary Club since 2011. Kris was raised in Strongsville, Ohio and has been in the Marietta area since 2010. Kris is active in the community as a member of Rotary, the Economic Roundtable of the Ohio Valley, and the Marietta Area Chamber of Commerce. Britani Merritt was born and raised in South Lebanon, Ohio. 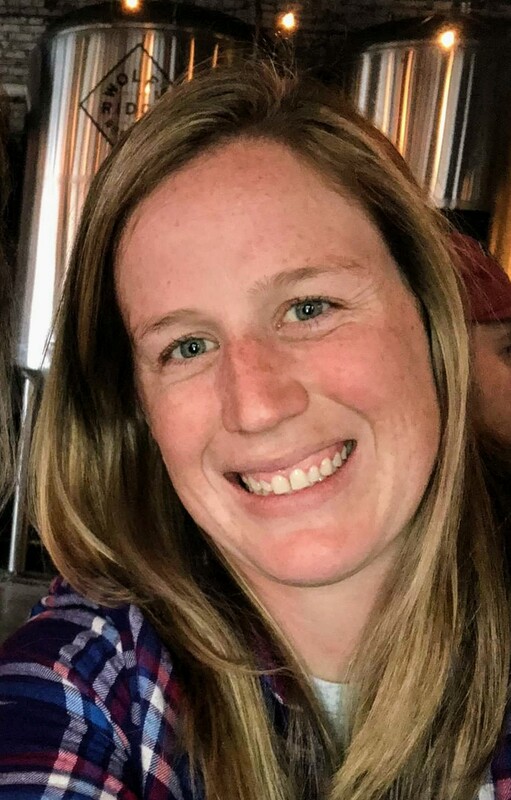 After moving to the Washington County area to be near family, Merritt attended Washington State Community College (WSCC), receiving her Associates in Accounting. Upon graduation, Merritt transferred to Marietta College where she received her Bachelor’s in Finance. Merritt is happily married to Brad Merritt, a professor at WSCC, with four beautiful children – Jade, Mary-Cate, John and Seth. She has worked at the Community Foundation since April 2015 where her passion for service thrives. Merritt is currently the Support Services Assistant and Adviser of the Foundation’s Youth Advisory Council, where she works with the youth of Washington County to teach them about philanthropy, nonprofits, and making a difference in their community. Elsa Anne Ekenstierna Thompson joined the Marietta Morning Rotary Club in 2014. Her desire to become more involved with Rotary lead her to become the Sergeant-At-Arms. Elsa’s spunky attitude and cheery humor brightens every meeting. David Haas is a charter member of the Marietta Morning Rotary Club. He was born and raised in Marietta and has been a member of Rotary since 1990. He graduated from the Ohio State University and currently is the president of Morrison Incorporated, a prominent Marietta-area HVAC company. He his married to Leslie and has one college-aged daughter, Reagan. As a Rotarian, David has served as assistant district governor, Marietta Morning Rotary Club's president, is a three-time Paul Harris Fellow, received the 4 Avenues of Service (1998-1999) Award, and the District Distinguished Service Citation (1996). He also has served as the Chairman, Vice Chairman, and Board Member of the Southeastern Ohio Port Authority, served as a vice president on the Marietta Area Chamber of Commerce Board, an active member of St. Mary's Parish, a division leader for United Way, the Board President and board member for the Marietta YMCA, and is the current facilities chair of the Marietta Riverfront Roar.